Assisted by a team of efficient personnel, we offer quality foundry chemicals which are widely demanded by diverse industries. Long shelf life, exact composition and high purity level are some of the features that make this range appreciated amongst our esteemed clients. 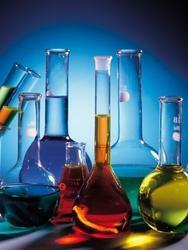 We offer Mix Xylene which is widely used in various industries for specific purposes. The range has special features such as; accurate composition, non-toxic and eco-friendly in nature. These eco -friendly toluene chemicals are offered in various packaging as per the specifications and requirement of our esteemed clients. Xylene is a chemical formulated by a group of three benzene derivatives which encompasses ortho-, meta- and paraisomers of dimethyl benzene. The o-, m- and p- designations specify to which carbon atoms (of the benzenering) the two methyl groups are attached. We offer clients a wide range of Xylene (Mix / Ortho) which is a mixture of three benzene derivatives used as a solvent in the Foundry industries. 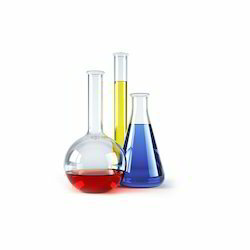 Our range of xylene chemical is colorless, sweet-smelling liquid that is very flammable and famous for its intoxicating properties. The o-, m- and p- designations specify to which carbon atoms (of the benzenering) the two groups are attached. Counting the carbon atoms from one of the ring carbons bonded to a methyl group and counting towards the second ring carbon bonded to a methyl group, the oisomer has the IUPAC name of 1,2-dimethylbenzene, the m- isomer has the IUPAC name of 1,3-dimethylbenzene, and the p- isomer has the IUPAC name of 1,4- dimethylbenzene.